The source for home and auto insurance in central Minnesota. Proudly serving Benson, Appleton, Morris, Glenwood, Starbuck, Alexandria, Sauk Centre, Parkers Prairie and surrounding communities. 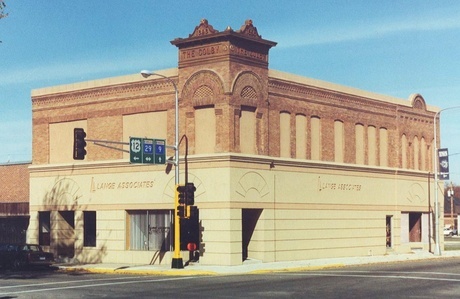 Lange Associates is a privately owned and operated insurance agency that provides insurance in west-central Minnesota. Since 1980, we've provided invaluable resources and services to our communities, and we're proud of the security and value that these resources and services provide. Our customer service is second to no one. We value all-encompassing and cost-effective products, but above all, we prize personalized and efficient services. We want our clients to feel comfortable and confident that they are protected. We offer a variety of different insurance programs, each of which is broad and adaptable. Our main areas of coverage include but are not limited to personal home, personal auto, life, farm, crop, business property, business liability and business auto. Being an independent agency allows us to partner with different insurance companies to give our clients the best coverage options. The strength and diversity of these options enables us to tailor policies to our clients' needs. We are proud to offer clients varied options to help them maximize their coverage and value. If you would like to know more or speak with an agent, please give us a call. Proudly serving Benson, MN, Appleton, MN, Glenwood, MN, Morris, MN, Sauk Centre, MN, Starbuck, MN, Alexandria, MN and surrounding areas.